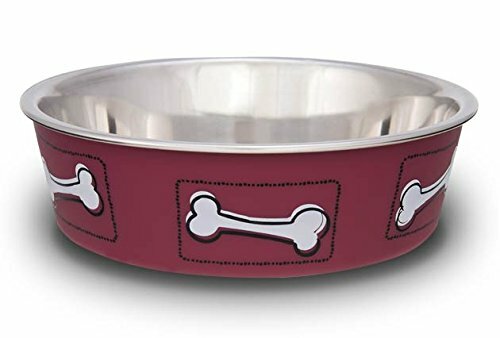 Loving Pets Bella Bowls are the perfect dish - both functional and beautiful. They are a revolutionary design combining stainless steel wrapped in polyresin and finished off with a removable rubber ring to prevent spills and reduce noise. Available in many colors and sizes to fit any décor. Dishwasher safe - please remove rubber ring before washing.